Sean’s work is inspired by industry and its tools, in particular the coal industry. Mineshaft pulleys, blow torches and bits of machinery are some of the source of inspiration. 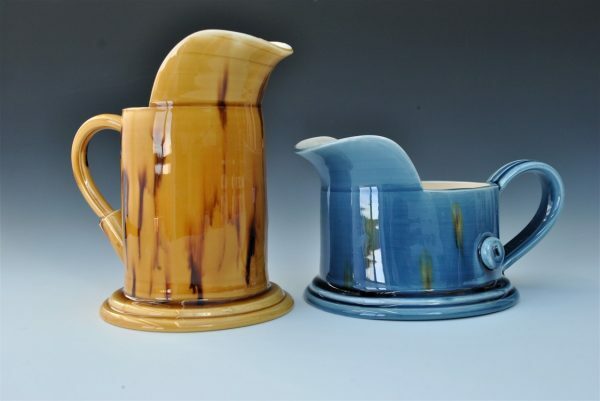 Sean’s work is hand thrown, earthenware teapots, cups, oil pourers and the unique breakfast set to name but a few. The colours are Sean’s hallmark colours of vibrant blue, green, yellow, purple and cream glazes. These are engineered forms made by hand.